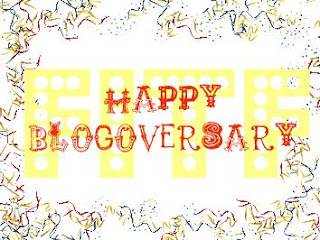 Fashion In The Forest: Happy Blogoversary To Me! Today marks one year of writing this blog! How time flies! Seriously, it doesn't seem like that long at all. I want to let each and every one of you followers to know that I appreciate you very much. When I started this blog, I really didn't know what I wanted to do, but I knew I wanted to write. I wanted to save people money. I think everyone wants to look nice and feel nice and have nice things, but you shouldn't have to break your bank account to do so. So I wanted to reach out to the real people of the world who work to make that $$$, who are creative & thrifty. No matter how much money you have, or what size you are - you can look great, feel great and save money. I want to give thanks to a few bloggers who helped me find my way, & who inspired and continue to inspire me - Amber from Silver Lining, Andie from What Andie Wears, BBM from Big Beautyful Mess, Kimberly from Fab Finds Under $50, Julie from Joy's Hope, Kenz from All The Weigh & Taylor from Mary Janes & Galoshes. Yours were the first blogs I ever bookmarked and I am so glad I did. Even though we may never meet, I consider you all friends. Old Friends & New, you deserve a BIG "Thank You" for every sweet comment, feature, award, mention, re-tweet & so on & so forth! ....I've had so many amazing opportunities through this blog that I am so grateful for. There are no words. Here is to another fabulous year! Don't forget to sign up for the three giveaways going on right now! Thank you again for reading Fashion In The Forest! CONGRATS tiff! ure blog is so fun and so helpful and i think it has me going broke ... lol. thank YOU for all the support uve given me! cheers to another FAB year! So sweet! Thanks and congrats on this milestone! Congratulations! Thanks for the sweet shout out, and thanks for being a loyal reader to me. awww thanks for the shoutout!